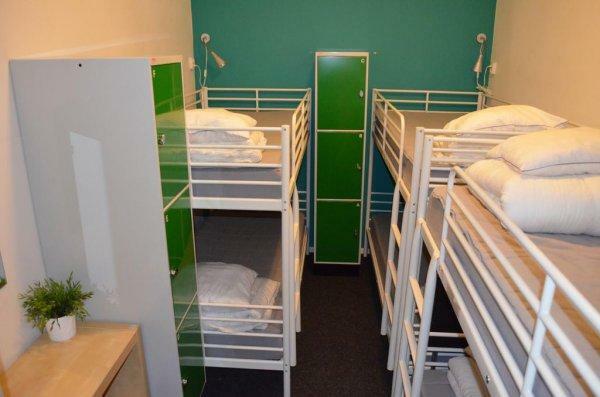 Welcome to one of the Stockholm's most popular hostels in Norrmalm! We believe that we have the friendliest atmosphere, the most helpful staff (our staff speaks six languages: English, Swedish, Finnish, German, Estonian and Russian), the cosiest rooms, the best location and the lowest prices in Stockholm! 1. 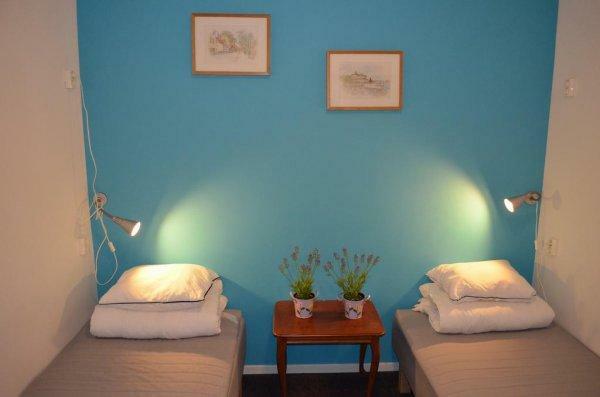 We have the cheapest bed offer in Stockholm (from 159 SEK per bed). 2. FREE WI-FI anywhere in the hostel and free computers with Internet and tourist information about Stockholm in the lobby. 3. Our kitchen is opened from 8 AM until 11PM. 4. FREE luggage room for our early arriving and late leaving guests. 5. Our hostel is guarded by security guard during the night. 1. 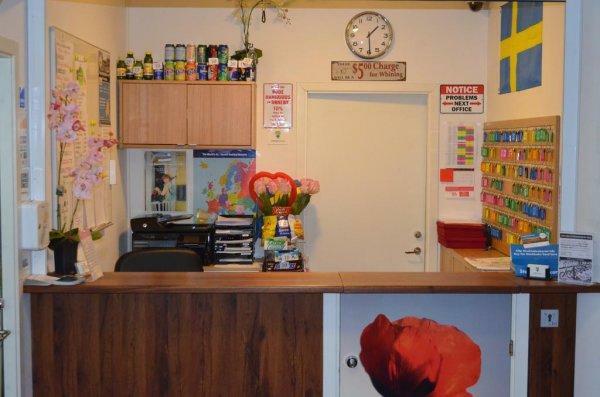 We are located only 10 minutes walk from Central Station. 2. The main Stockholm's shopping street Drottninggatan is just around the corner. 3. All the main historical attractions including The Old Town, The Royal Palace, The Vasa Museum and many others are close at hand. 4. All Stockholm's cafes, pubs, restaurants and the famous nightlife area Stureplan are nearby. 5. The cheapest supermarket LIDL is within a 5 min. walk from the hostel. 6. You don't have to use public transport , which's very expensive in Stockholm, so you will save hundreds of krona's! 1. We offer cozy modern rooms with lockers and reading lights. 2. There are comfortable IKEA beds with spring mattresses in every room. 3. All private rooms and 4 bed mixed dorms have a TV with DVD player. 4. Our guests have access to our homely kitchen equipped with stoves, fridges and microwaves. The kitchen is opened 24h. 5. Big plasma TV and some games are also available on the kitchen. 6. Clean separate showers and toilets. 7. Laundry facilities with dryers. Interhostel is located in the historical center, close to many of Stockholm's main event venues, tourist attractions, clubs and pubs. Because of the perfect location Interhostel is the ideal accommodation choice for every sort of budget traveler! You don’t need to use the public transport, which is very expensive in Stockholm so you'll save lots of money! The Royal Palace, The Stockholm Opera, The City Hall, The Old City, The Vasa museum and bustle of the busy shopping street Drottninggatan are right on our doorstep! 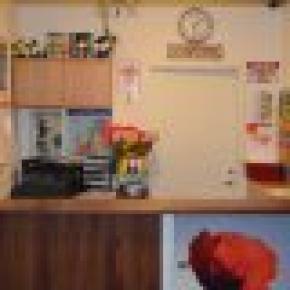 Interhostel is close to main shopping malls, such as NK, P.U.B. and Åhlens, Casino Cosmopol, famous Ice Bar and the most popular nightlife area Stureplan are nearby. The cheapest supermarket LIDL is within a 5 min. walk from the hostel. 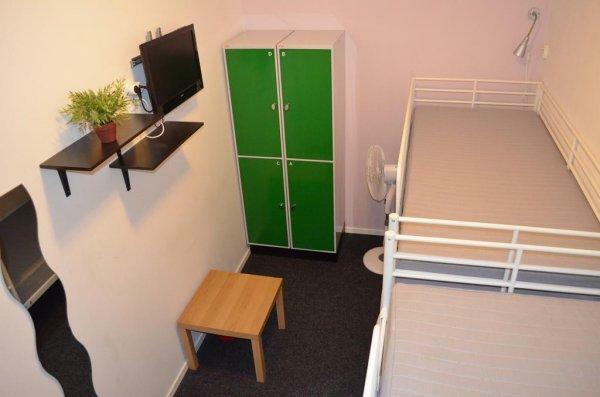 We offer quality refurbished rooms with modern beds and lockers. 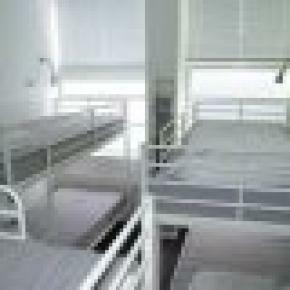 Beds with spring mattresses will ensure you good night sleep and rest. All beds have reading light. 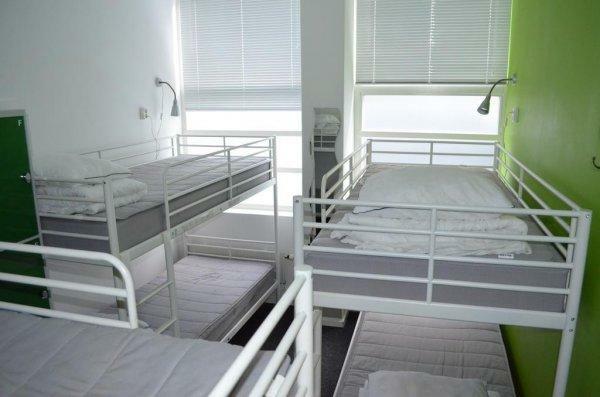 You can choose to stay in a larger dorm with 10-14 beds for a cheapest price or in a smaller more private room. 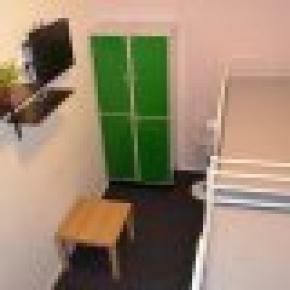 All private rooms and 4 bed mixed dorms have TV with more than 500 channels and DVD player. We have separate showers with WC for men and women. There are lots of WC in the corridor space and a HANDICAPED WC with shower.